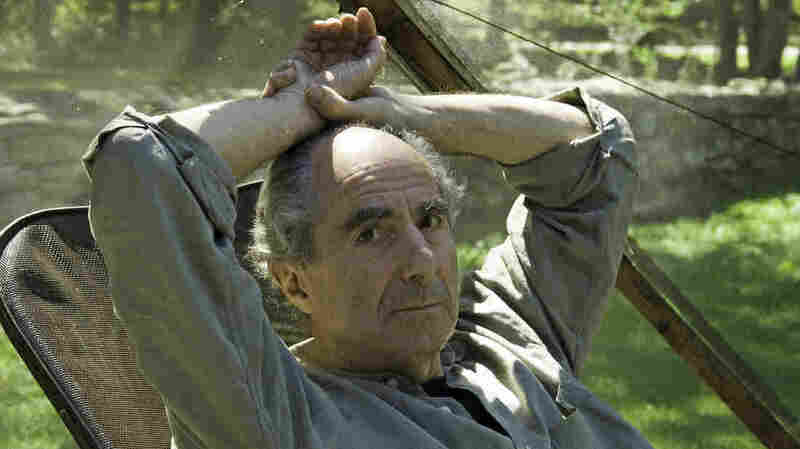 American Novelist Philip Roth, Author Of 'Portnoy's Complaint,' Dies At 85 : The Two-Way Roth, one of the most influential novelists of the later part of the 20th Century, is the author of American Pastoral, which won the Pulitzer Prize for Fiction, and 1969's Portnoy's Complaint. The New Yorker, where Roth published his first stories, said "Defender of the Faith," his second piece for the magazine, "prompted condemnations from rabbis and the Anti-Defamation League. 'His sin was simple: he'd had the audacity to write about a Jewish kid as being flawed,' David Remnick wrote in a Profile of Roth, in 2000. 'He had violated the tribal code on Jewish self-exposure.' "
Roth again caught the literary world's attention in 1959 with Goodbye, Columbus, which won the National Book Award. The book delineated "the conflict between traditional and contemporary morals as manifested in a young, Jewish American man's search for identity," according to The Philip Roth Society's biography of the author. That is a theme he returned to in Portnoy's Complaint, his breakout novel published in 1969, an "explicit recounting of a young lawyer's sexual autobiography, consisting largely of compulsive attempts to free himself from the strict confines of his Jewish upbringing through incessant masturbation and sexual conquest," according to the society. "By the end of the 1970s, Roth had begun writing works that featured his literary alter ego, writer Nathan Zuckerman. This character appeared in My Life as a Man (1974) and recurred in such works as The Ghost Writer (1979), Zuckerman Unbound (1981) and The Anatomy Lesson. While there may be some commonality between Roth and Zuckerman, Roth has insisted that his novels are not autobiographical. He told The Nation that readers who only see his life in his works "are simply numb to fiction—numb to impersonation, to ventriloquism, to irony, numb to the thousand observations of human life on which a book is built," according to Biography.com. He again won the National Book Award in 1995 for Sabbath's Theatre. "Though the novel's overarching drama is the national and international crisis that Roth imagines, its specifics are intimate. Roth revisits his Newark childhood in loving and meticulous detail, and shows how, unbeknownst to a child who has the good fortune to be raised in peace and freedom, so much of daily life depends invisibly but decisively on politics," The New Yorker's Richard Brody wrote last year. In an interview with WHYY's Fresh Air in 2010, at the time Nemesis was released, Roth said that after five decades as an author, he would not stop writing anytime soon. "It's hard to give up something you've been doing for 55 years, which has been at the center of your life, where you spend sometimes six, eight, 10 hours a day," he said. "I always have worked every day, and I'm kind of a maniac. How could a maniac give up what he does? ... You sit alone, decade after decade, and you try to imagine something out of nothing. Not just imagine it, but, again, make a work of art out of it. And you do it so long, that in a certain way you can't do anything else." Although he continued to write, Nemesis would be his last novel. In 2012, he announced his retirement from writing. A year later, in an interview with NPR's Weekend Edition Saturday, Roth said the idea of retiring began to grow after the publication of Nemesis. "I didn't know it would be my last book, but I was months trying to start something new, and I wasn't having any success, and it occurred to me I didn't have to do this anymore," Roth told host Scott Simon. "I've been doing it since about 1955 ... and so I gradually stopped writing, and found that it was very pleasant, and indeed I haven't written for several years now." He said writing had been "a constant mental activity" for him and that he was always trying to mine the stories he heard around him. "And now I just listen, and it's quite nice. I go home and go to sleep," he told NPR, laughing. "It was on my shoulders all my life, so I really didn't even know it was on my shoulders." A previous version of this story said Philip Roth's literary alter ego, Nathan Zuckerman, first appeared in 1979's The Ghost Writer. The character appeared in My Life as a Man in 1974.